Matt Dennis is a M.F.A. candidate at the Savannah College of Art and Design. 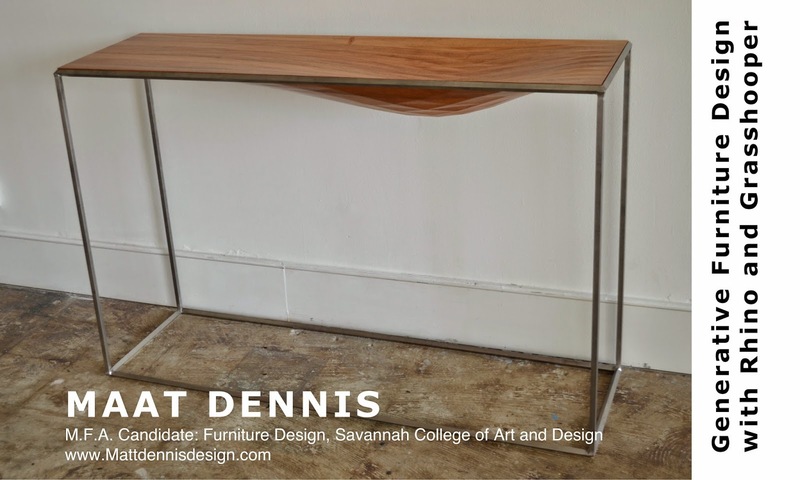 His thesis, Smarts and Crafts: Digital Technology in Furniture Design, explores ways that digital technology is changing all facets of furniture design; design creation, fabrication and distribution. Open design as well as parametric and generative design have played a large role in shaping his thinking about design. You can join and post your furniture designs at GFD3D too.